Vanderbilt: The very name is synonymous with the Gilded Age. The family patriarch, 'the Commodore,' built a fortune that made him the world's richest man by 1877. Yet less than fifty years after his death, no Vanderbilt was counted among the world's richest people. 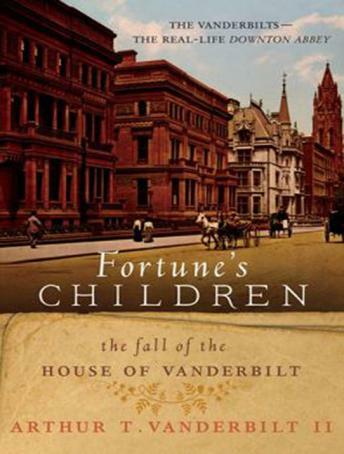 Written by descendant Arthur T. Vanderbilt II, Fortune's Children traces the dramatic and amazingly colorful history of this great American family, from the rise of industrialist and philanthropist Cornelius Vanderbilt to the fall of his progeny-wild spendthrifts whose profligacy bankrupted a vast inheritance.